As with the other technologies discussed in this chapter, ocean current technology is still at an early stage of development and realistic costs are difficult to establish. Some early European studies have suggested that electricity could be generated for between €0.05/kWh and €0.15/kWh. Meanwhile, a Canadian study published in 2002 concluded that Canadian technology could produce electricity for between 11 Canadian cents/kWh (for an 800MW development) and 25 Canadian cents/kWh (for a 43 MW installation). Generation costs within these ranges would make the technology competitive with diesel generation. 1 Ocean Thermal Energy Conversion (OTEC), L.A. Vega, 1999. 2 Renewable Energy Sources: 2000-2020. Opportunities and Constraints. World Energy Council, 1993. 3 The Ocean as a Power Resource, J.D. Isaacs and R.J. Seymour, International Journal of Environmental Studies 4, 201-203, 1973, EU ATLAS project. 5 In thermodynamics these are usually referred to as a heat source and a heat sink. 6 Ocean Energy Conversion, M.T. Pontes and A. Falcao, Lisboa, Portugal. 7 Refer supra note 1. 8 World Energy Council, Survey of Energy Resources, 2001. 9 Refer supra note 8. 10 The company which has developed this turbine, IT Power, has suggested that up to 20% of the UK's power could be derived from tidal streams. 11 Refer supra note 6. 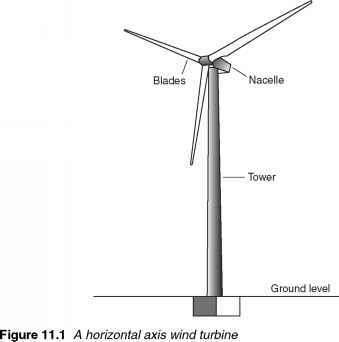 12 Green Energy Study for British Columbia, Phase 2: Mainland Tidal Current Energy (October 2002). This report was prepared by Triton Consultants Ltd for BC Hydro Engineering.